What Are Angel Investors Looking for in a Business? Angel investors typically reject three-quarters of investment proposals sight unseen - even though angel investments are one of the most popular forms of financing for businesses and angel investors are always looking for new opportunities to invest in sound, well-managed companies. How do you get an angel investor to invest in your business? The Potential for a Solid Return: Angel investing involves a high degree of risk, so angel investors have the expectation of doing more than just getting their money back when they invest in an enterprise. They are looking for a higher return on their investment than they can get on the stock market, for example. 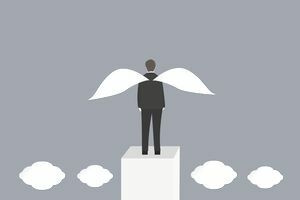 “For every dollar that an angel puts into a company, he or she would like to take seven dollars out, after taxes, in seven years," says Allan Riding, a leading expert on angel investing and professor at Carleton University. A Good Reason to Invest: Remember that most angel investors are or have been successful entrepreneurs. They enjoy the thrill of helping to build and create a thriving enterprise. However, there are three categories of angel investors, the economic, the hedonistic and the altruistic*, and each type has their reasons for investing. While a hedonistic angel investor is most attracted by the excitement of creating something new, an altruistic angel may be most concerned about helping his community or attracted by the potential of developing environmental technologies. Determine which category of angel investor you’re trying to attract and tailor your pitch accordingly. An Experienced, Solid Management Team: A solid, complete management team with leadership ability is a must. Essentially an angel investor is investing in people, so he or she needs to see the evidence that your business is in the hands of people who are knowledgeable, experienced, competent and trustworthy – and possess the skills to lead your business to the next level. For most businesses, a complete management team will include skilled, knowledgeable people who know about marketing and selling products, manufacturing, managing people, and accounting. A Solid Business Plan: Angel investors want to see a business plan that’s both convincing and complete. They want to see that you’ve developed a vision for your company and that you’ve given thought to the details of how to get there. They want to see things such as financial projections, detailed marketing plans, and specifics about your market. A Business Structured for Investment: While some angel investors invest by giving loans to business, more than half of angel investors are looking for minority equity ownership position (Angel’s Touch!!! An Entrepreneur’s Guide to Informal Investment, Industry Canada). It means that your business has to be structured to allow for investment (and that if you are the sole owner of your business, you have to be prepared to give up a certain amount of ownership). Most angel investors will expect a formal shareholder’s agreement which lays out the nature of their investment and the return. The Opportunity to Be Actively Involved: For many angel investors, it’s not just about the money; they want to participate in developing your business actively. They want to act as a mentor and sometimes even to take an active role in managing the company. This often translates into the angel investor having a seat on your Board of Directors. A Viable Exit Strategy: Before he or she invests in your business, an angel investor will expect to see an exit strategy. While angel investors are patient and willing to make long-term investments, they need to see how they’re going to reap the return on their investment. The sale of shares to the company’s principals is a common exit strategy for angel investors who hold equity ownership positions; the sale or merger of the company is a common exit strategy for debt-holding investors. Don’t be surprised that your prospective angel investor wants a time-frame set. In sum, if you want to get an angel investor to invest in your business, you have to ensure that your business is investor-ready. If you haven’t already done so, preparing a solid business plan, restructuring your business as necessary and completing your management team are the best ways to start preparing to attract an angel. Once you've done these things, you’ll be ready to tailor your investment pitch by incorporating the other things that angel investors are looking for outlined above. Then all you need to do is find an angel investor to approach.